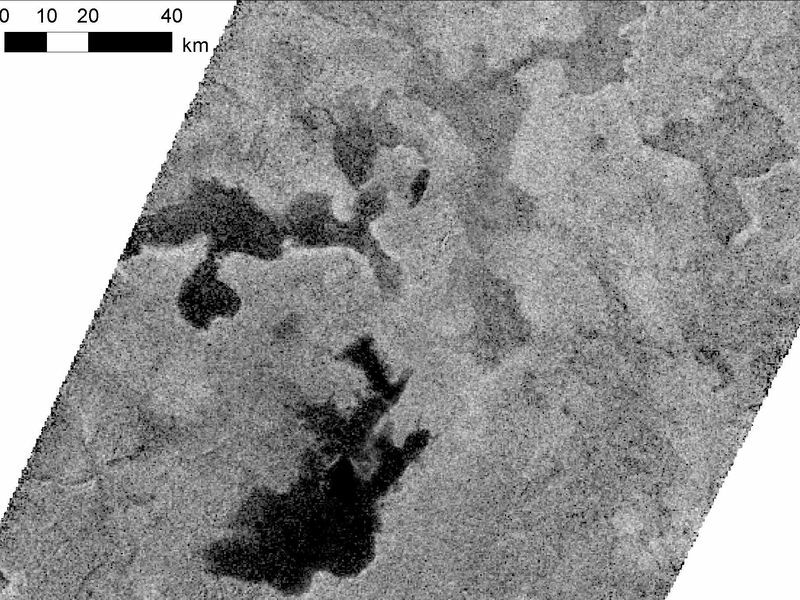 Lakes on Saturn's moon Titan reflect radio waves in varying ways in this image from NASA's Cassini spacecraft. Scientists think the variations in reflectivity, or brightness, have to do with the smoothness or texture of the surface. If a lake is fully liquid, it looks dark, but if it is only partially liquid, it looks brighter. 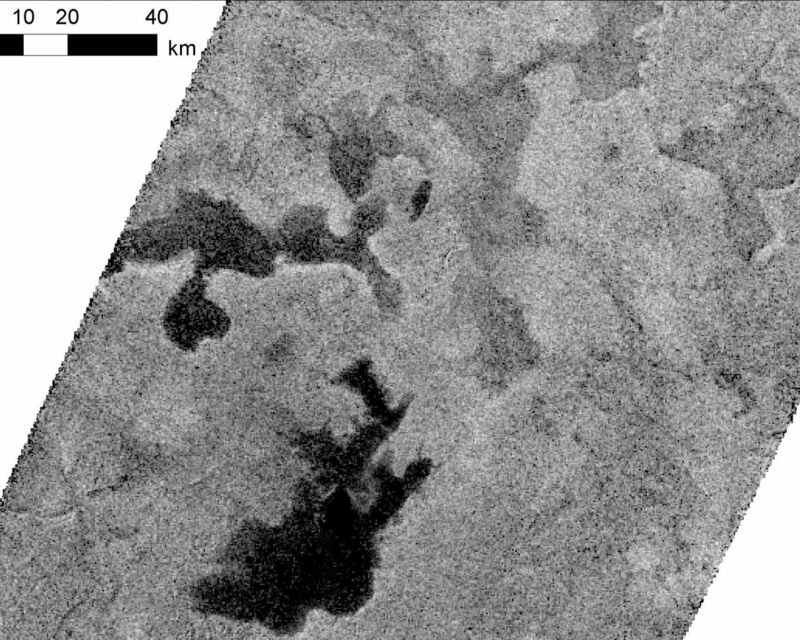 In this image taken from Titan's high northern latitudes on May 22, 2012, the lakes on the left are full of liquid hydrocarbons and the lakes on the top right are only partially filled, or represent saturated ground (i.e., a mudflat). The lakes in this image are each about 35 to 45 kilometers (22 to 30 miles) across, or about the size of Lake Tahoe on the California-Nevada border. Some of the differences in reflectivity could also be explained by the presence of floating hydrocarbon ice. This image was obtained by Cassini's radar mapper at a scale of about 350 meters (1,100 feet) per pixel. It is presented in polar stereographic projection with a logarithmic stretch. 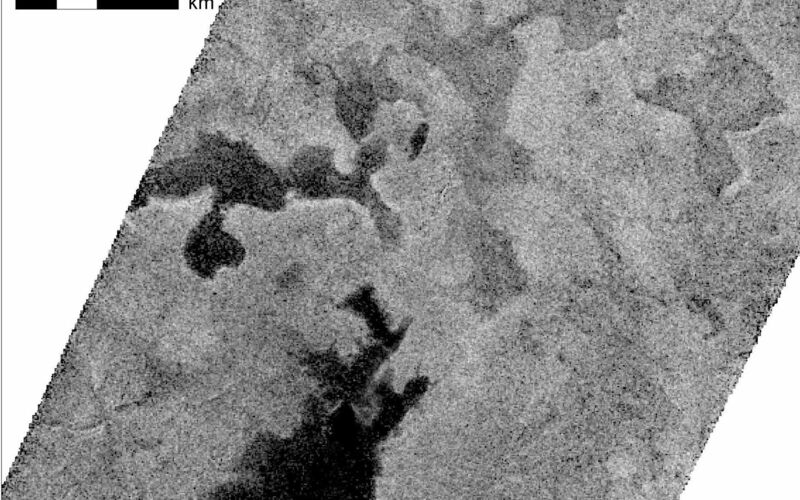 For perspective, a wider view of these lakes can be seen in PIA16167.